Chuck Clendenen is a member of the Deist Alliance and one of the founders of Unified Deism. He is also publisher, contributing author and editor of the book Deist: So That's What I Am! In real life Chuck is a security consultant and a grandfather living in Central Texas. At one end of the attitude scale is pessimism, at the other is optimism, and pragmatism and cynicism are somewhere in the middle. I tend to range between pragmatism and optimism, with a healthy dose of cynicism applied to keep my ego (and other egos) in check. Belief has a similar range. At one end we find non-belief, atheism, at the other extreme are the unquestioning believers, and between these extremes are the agnostics and the Spiritual But Not Religious of various stripes. Are believers optimists? 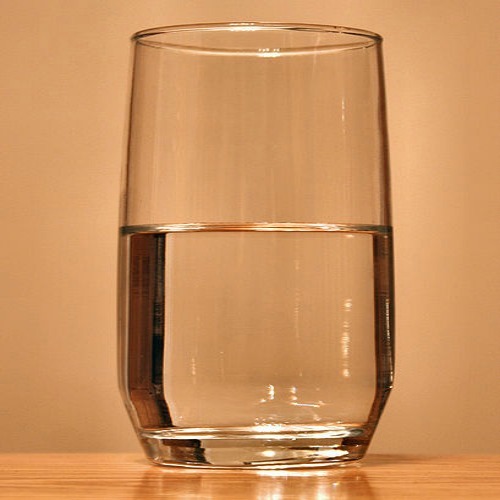 Are non-believers pessimists, or are they pragmatists? Labels are useful if they help us understand, but labels are worse than useless if all they do is divide us and promote discord. I take the Stoic approach, up to a point. It is pointless to waste energy on things that we can do absolutely nothing about. Worry and dread are negative and wasteful activities that sap us of our strength. If you think you have no control over the outcome of a situation, reflect on the serenity prayer. Accept what you cannot change. Que sera sera, what will be will be. But screw up your courage and change what you can. I am not a fatalist. I do not accept the inevitability of everything. Where others may think that a situation is hopeless, I often do not agree. Sometimes it is necessary to fight the good fight because justice demands that we take a stand. Even if we do not prevail against the odds we can hold our heads high. Sometimes all that defeat means is that we lost this round. Keep pounding the rock. Life is a never-ending quest to discover just what we can change. And I believe that every day that passes we discover that there is more and more that we can do to make a difference. pessimistic outlook is simply hope-deficient. We can be optimistic and pragmatic at the same. Worry and despair will not change an outcome. Neither will hope. But these attitudes will influence our spiritual well-being as we live through our experiences. There are many things in our lives that we cannot change. Life is the dealer, and we play the hand. We have no control over the beginning or the end, but the middle is up to us. We can play our roles filled with hope or despair. That part is up to us. Hope is the triumph of positive over negative, yang over yin. Having one does not make the other go away, but how well we find a balance will have a profound effect on the quality of our lives. We have no evidence that anything awaits us beyond death. Certainly, the physical part of us will cease to function. But some immaterial part of us will live on, at least in the lives and memories of others. And even the most skeptical and rational among us can hope for more than that. Hope is not delusion. Hope is what is left when there is nothing else to hold onto. I value reason above all else, but reason tells me that there is always room for hope. Hope gives us a more positive outlook on life, and therefore a happier and higher quality life, even if it turns out in the end that we are mistaken. So what is it precisely that you hope in? Is it simply HOPE or is that grounded in anything other than self, hoping against hope?What precisely gives you hope? Hoping is saying that what’s happening right now is not enough, even though the present moment is all there ever is. Hopers leave a trail of disappointment in their wake. Not a very happy way to live, in my opinion.